Time to throw away the boring old salt and pepper pots, we have come across something a lot more stylish, something that we wouldn’t mind having out on display rather than chucked to the back of the cupboard that we have to hunt high and low for when needed, don’t you just hate having to hunt for salts and spices at meal times….we sure do! 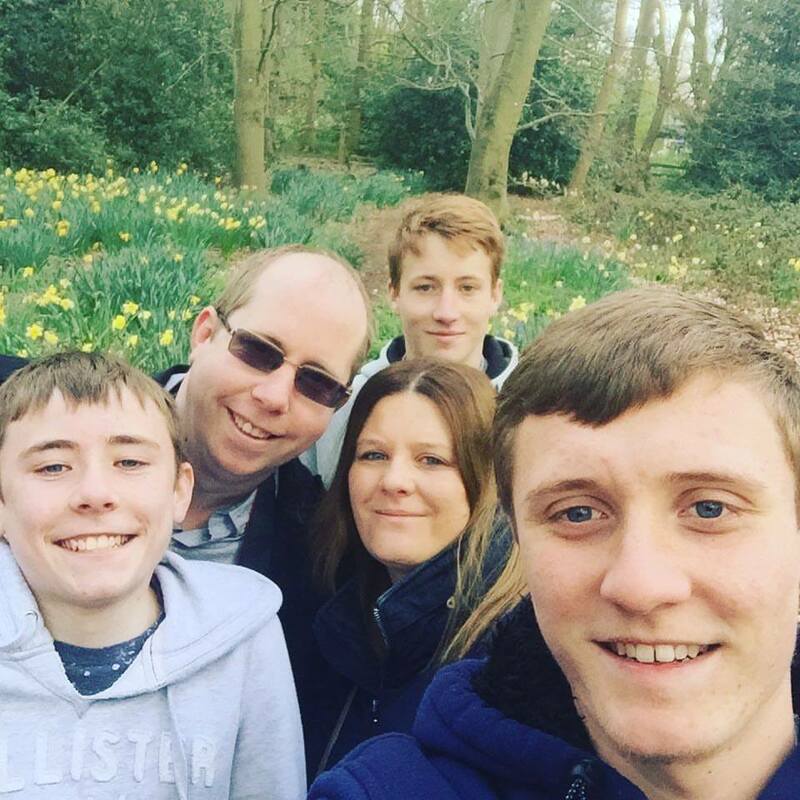 This is not only a stylish little gadget it takes up hardly any room, it is that easy to fill up and use my boys even do it. 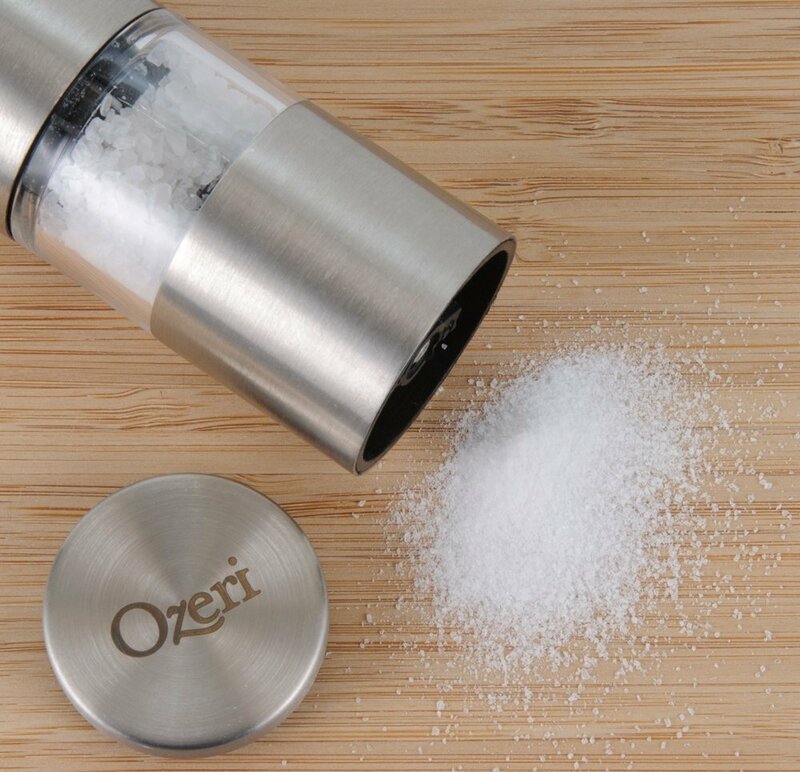 The Ozeri Fresko salt and pepper mill has a lovely brushed stainless steel look to it and is of great quality, the grinder can be adjusted from fine to coarse at ease with the turn of an adjustment rod which you can easily fit two fingers round and turn. 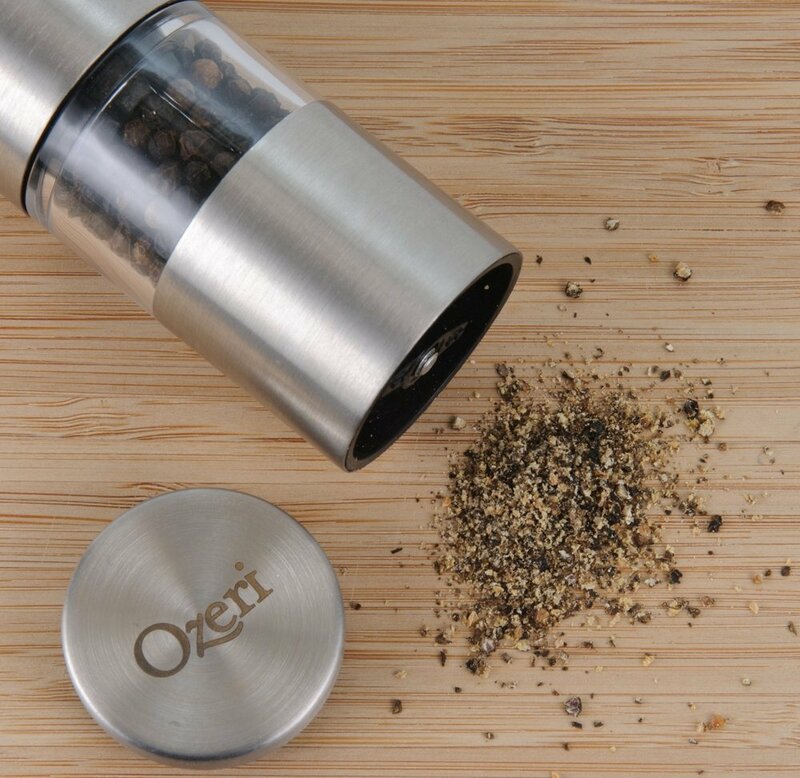 One thing we love is fresh ground peppercorns and with the features of powerful ceramic gears, this salt and pepper mill grounds them with ease. The salt and pepper mill is designed in Germany and is made of stainless steel, with the perfect space-saving design. With the grinder having see through window’s this allows us to see the grinding in action and also allows us to monitor the levels so we know when it needs refilling. The salt and pepper mill dimensions are 3.8 x 3.8 x 17.1 cm as you can see from the picture on the right, to fill the salt and pepper mill you just simply pull the sections open, fill them and then just push them back together again, it really is that simple! at either end of the grinder there is a cap, when you wish to use the grinder you select what end you wish to use, pull the protective cap off and twist the grinder, when you have finished pop the cap back on. If this is a salt and pepper mill that you would love to have in your kitchen, you can by clicking here. Disclaimer: we was sent a salt and pepper mil for the purpose of our review, all thoughts and opinions are 100% our own. This is exactly what i’m after in my kitchen, I have salt and pepper mills that I bought ages ago that need replacing. They were great at the time now just old. 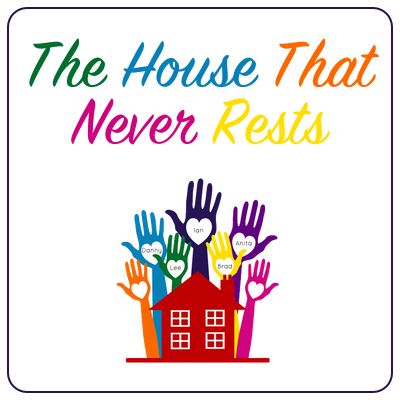 What a great little gadget, we love gadgets especially ones that save space in our house.